This thread is privately moderated by mdennis, who may elect to delete unwanted replies. I'm coming prepared for Thane and Joe this year! We better have wind. This guy will need it. Whew! Boy does that thing look hot! I threw in the Tomcat Elevator on the tail comparison. Last edited by the_canuck; Apr 08, 2019 at 07:20 PM. Holy crap, you guys fly some serious hardware. It makes racing more exciting! 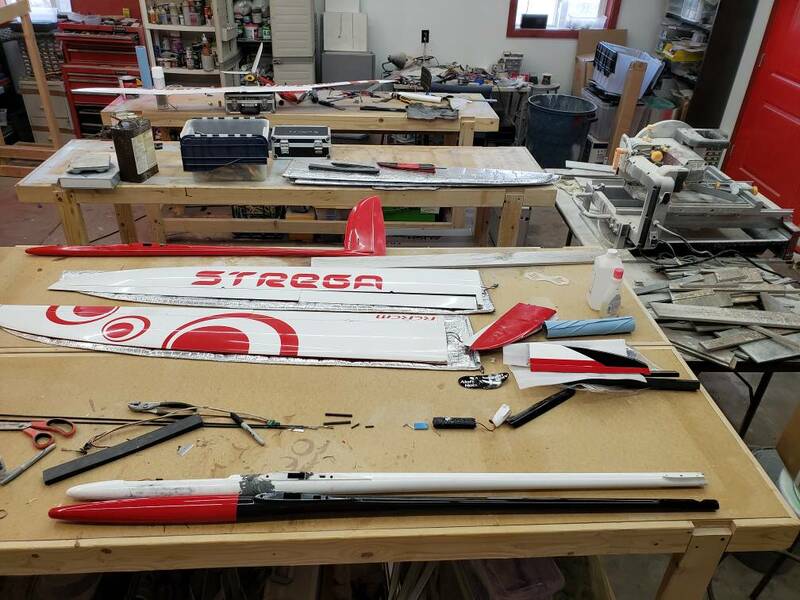 Wait ‘til you see the wing-a-rons Thane builds and brings. Really fast! My compliments to you guys. Very nice stuff. 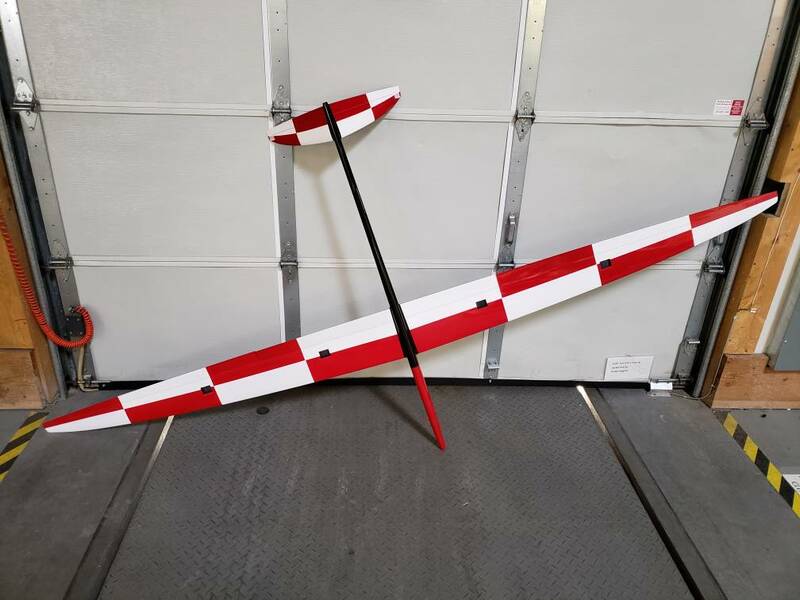 Would love to see it fly. Like they say in Nascar..."Rubbing is Racing"
Man, Andrew that's a good looking slope racer. What do you think your AUW without ballast come in at? The single carbon ones are coming in 81 - 82 oz. I expect mine will be a few oz heavier. The Stregas are in the same range but have quite a bit more wing area. Wind will be needed. 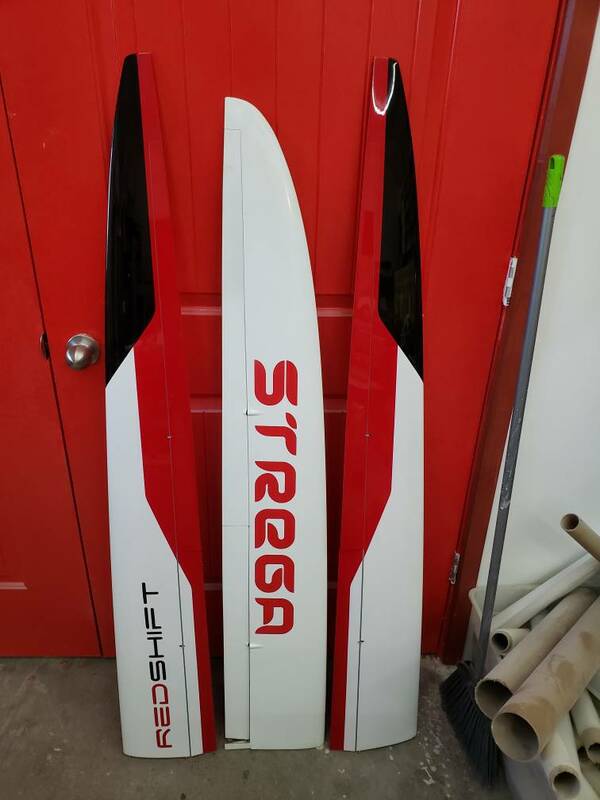 Airfoil is much thinner on the Redshift vs Strega. Last edited by the_canuck; Apr 10, 2019 at 08:56 AM. i picked up a used Skorpion for the unlimited racing. Been trying to get ballast together for both of my unlimited ships. Hoping for some big wind this year! Last edited by glider304guider; Apr 11, 2019 at 09:41 AM. 90oz of ballast should be enough I hope. I will have room for a few more oz in the wing joiner but I'm guessing I won't need it. Bring on the hurricane force winds! Looks like 127oz is the official max weight for Redshift based on wing area for F3F. I should be able to load it up to 180oz range with just wing and fuse ballast installed. I'm guessing it will be 90oz ready to fly without ballast. 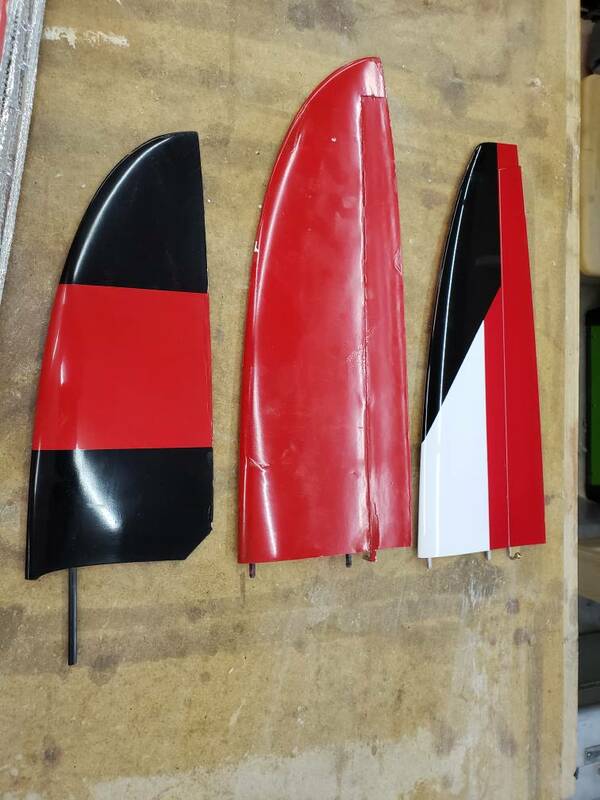 Looks like the Unlimited race rules are modeling the official F3F rules so 127oz max it is for the race limited by wing area loading. Last edited by the_canuck; Apr 17, 2019 at 08:19 PM. I will be flying a opus or Typhoon I think Ty has a typhoon also. I got a used E-Typhoon last year and have really enjoyed it on the flatland. I think I replaced every linkage and most of the servos - they were all pretty loose and sloppy. 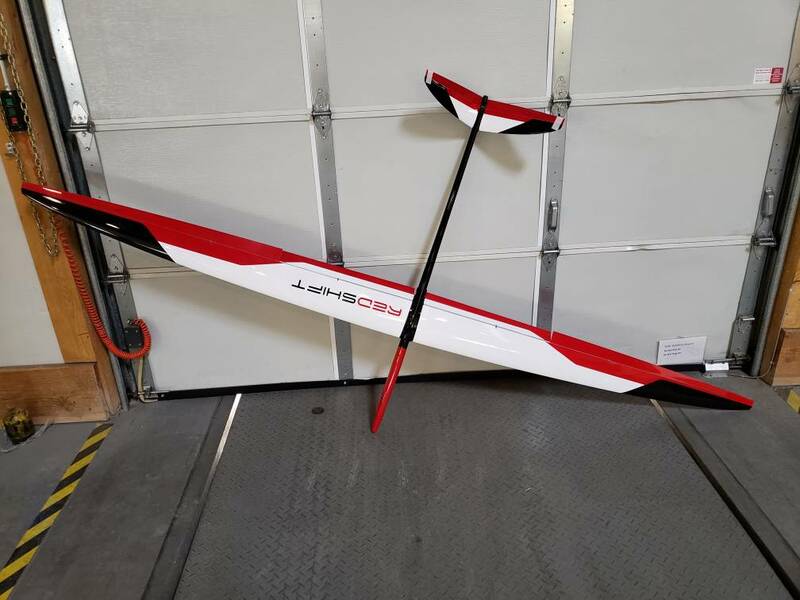 Guess if I race it I’ll take off the props.